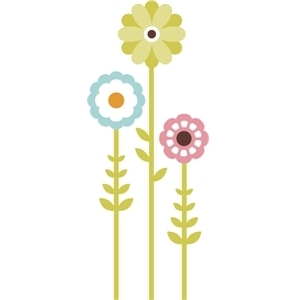 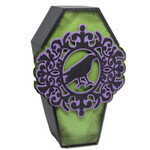 This project includes three coffin treat box designs from designer Jamie Cripps. 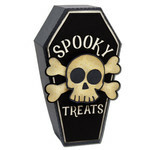 The coffin lids lift off, allowing you to fill the coffin with candy or goodies! 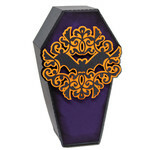 Each coffin comes with the decorative paper cut items shown.